Fill out the fields for your estimate. This is an estimate. Please continue for a real time rate. Looking to sell runescape 3 gold at great rates? Look no further! Rsgoldfund offers fantastic runescape 3 gold rates when you are looking to sell runescape 3 gold. We buy runescape 3 gold for a variety of payment methods from all over the world. 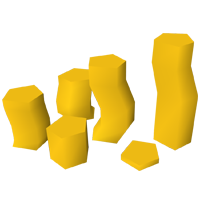 Runescape 3 gold is a must have currency and we understand how hard it is to sell your runescape 3 gold but here at rsgoldfund we can assure you that we buy runescape 3 gold for the best prices possible. What are you waiting for? Sell runescape 3 gold today!